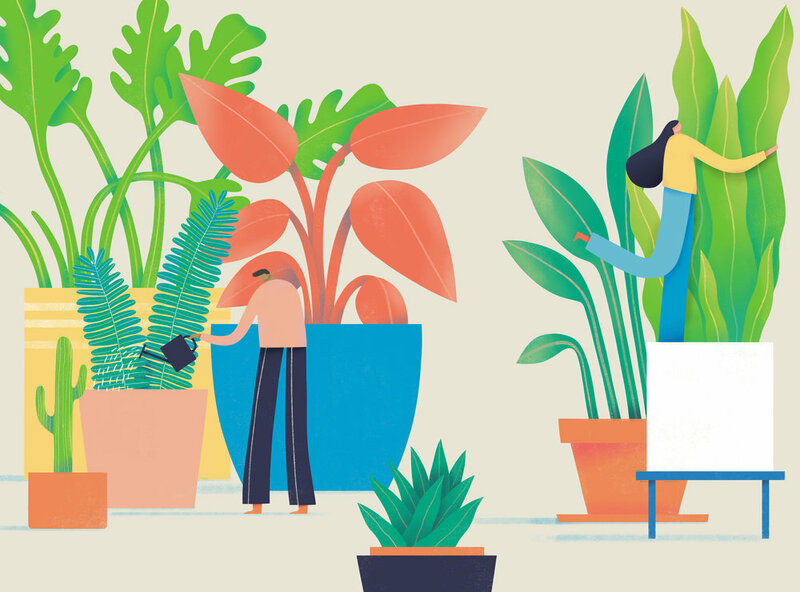 The first online course to help you master caring, growing, and nurturing your houseplants. Turn your black thumb to a green thumb. Learn to grow with your plants. How many of us have brought a plant home and then said, “Ummmm, what do I do now?” (Yeah, we’ve ALL done it). Good news: The Houseplant Masterclass will teach you not only how to intuit what a plant needs but also show you how to do some cool houseplant hacks once you start your houseplant journey. ‘Cuz we’d like to see you and your plant grow together. . . Ever dream of having one of those dreamy houseplant homes? Yes, us too. But before you blow your bank account at that fancy plant shop down the street, we want to help you make sure you know your plants. Like REALLY know your plants. Because there are so many ways to grow your indoor jungle without maxing out your credit card. . .
the Houseplant Masterclass is a project of Homestead BrooklyN. To get Great Houseplant Information, GIVEAWAYS, aND EVENTS, Sign up for the NewsleTter! Don’t worry. We’re cool. We keep your email private.